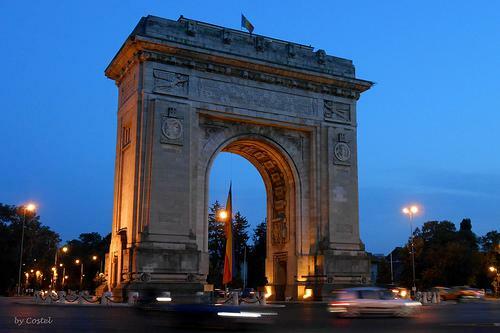 The Arcul de Triumf was built to commemorate Romania's independence. The Arcul de Triumf was built to commemorate Romania's independence. The first wooden arch on the site was built in 1878 to allow victorious troops to march through it, and few iterations later, the current arch was built in 1936 to commemorate World War I martyrs as well. Every December 1st on Romania's Independence Day, military troops parade through the arch.